When you’re a parent, your children will go through so many milestones throughout their life that you want to be there for. But one mum took to a forum to express her anger when she was forced to miss one of her baby daughter’s first milestones. ‘I’m probably being unreasonable and ott but I don’t care,’ she started.‘Dd was born with quite a bit of hair, by 6 weeks old it all fell out. It grew back thick, incredibly curly and a beautiful blonde colour. I was in love with her hair. She then went on to explain that her partner’s stepmother had been looking after her daughter for the day when she came home wearing a beanie hat. ‘I asked DP’s SM where the hat came from and she looked sheepish and said she bought it as a gift. Thinking nothing of it, I thanked her and started chatting about how cold it is (assuming that’s why she bought the hat) (dd does own multiple hats btw). ‘She left quicker than usual,’ continued the ranting mother. ‘I started removing DD’s outwear. I finally got to pulling her hat off and I was gobsmacked. All her curly hair is GONE! It wasn’t a trim, all her hair is complete gone. I know it’s a silly problem and it shouldn’t bother me, but she knew I didn’t want a trim let alone it all chopped off. On phoning her partner’s stepmum the angry mother was met with immediate apologies and claims that the hairdresser took too much off. 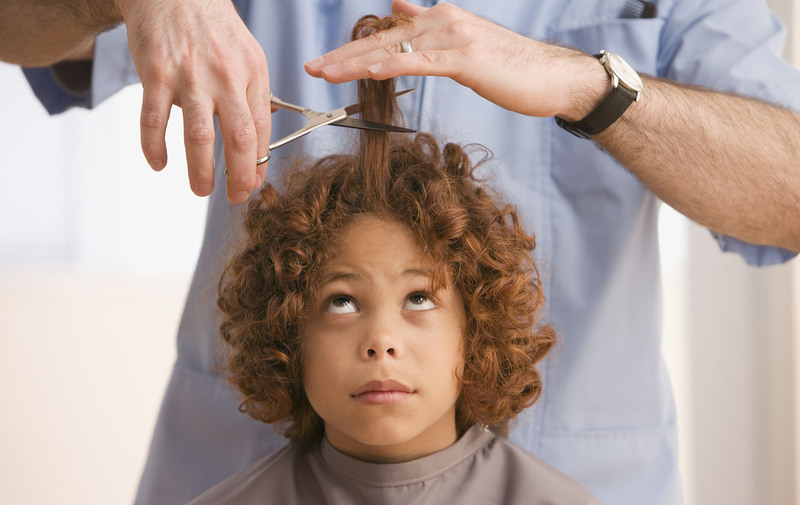 But the mum emphasised she had not agreed to the hair cut so it was wrong of her to do. ‘I then asked did she at least save a curl for me to have? I’ve told her before that when she has her first haircut, I wanted to keep a lock of hair. She said she only got one lock, but that was for her to keep, not me. That added fuel to the fire and I told her she’s completely out of order and she best avoid me for a while. One even went into the principles of the situation, writing: ‘I don’t particularly care about hair but I don’t think you are over reacting. ‘She chose to do something to your dd that she knew neither of you wanted, something that while not huge is hurtful and having taken your chance to have a first curl is happily keeping it for herself? How would you feel if a family member ignored your wishes by acting this way? Head over to our Facebook page and let us know.